@anaquana Thanks! When a woman with pink hair in her photo tells me that I rock, that’s the kind of compliment I take seriously! 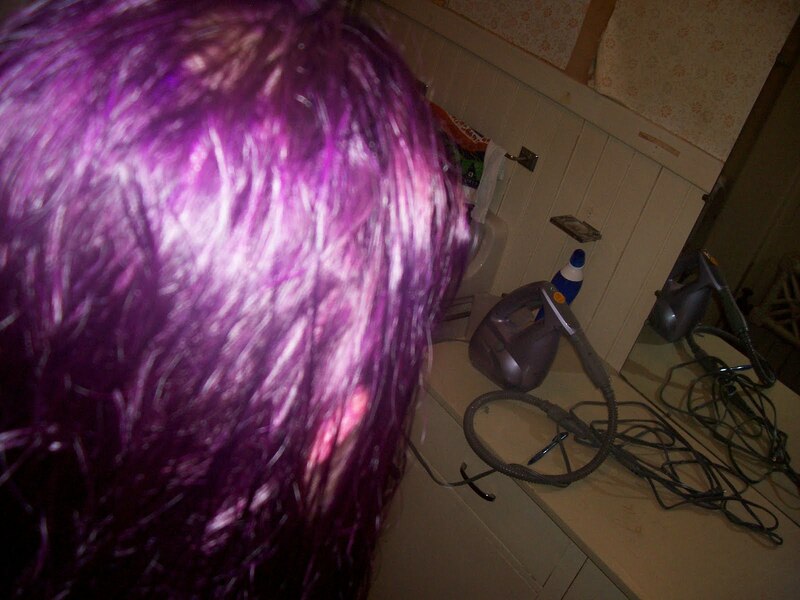 So, yes, dear readers, I have gone and turned myself purple. 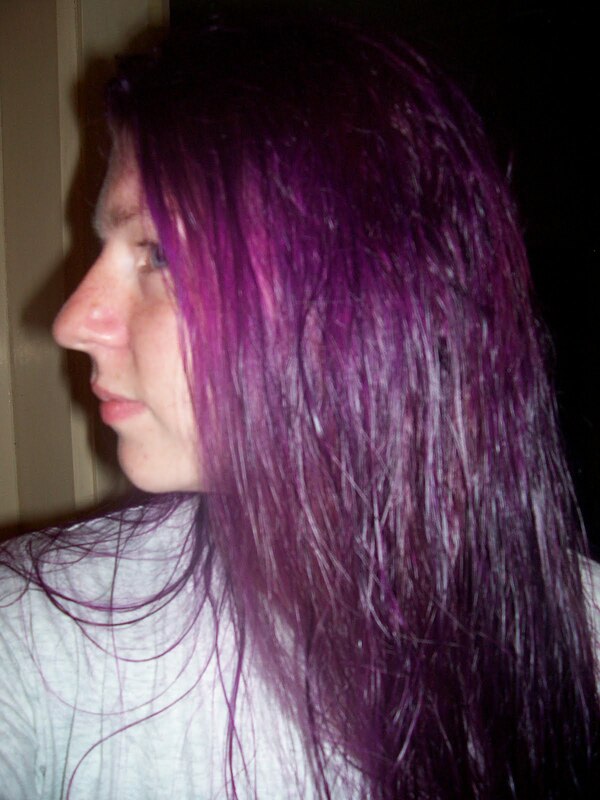 It took 3 bottles of Splat Lusty Lavender hair dye to get it done, but I now look like a damned Faery.